This was posted by Collins Dictionary on November 03, 2016 "Top 10 Collins Words of the Year 2016". 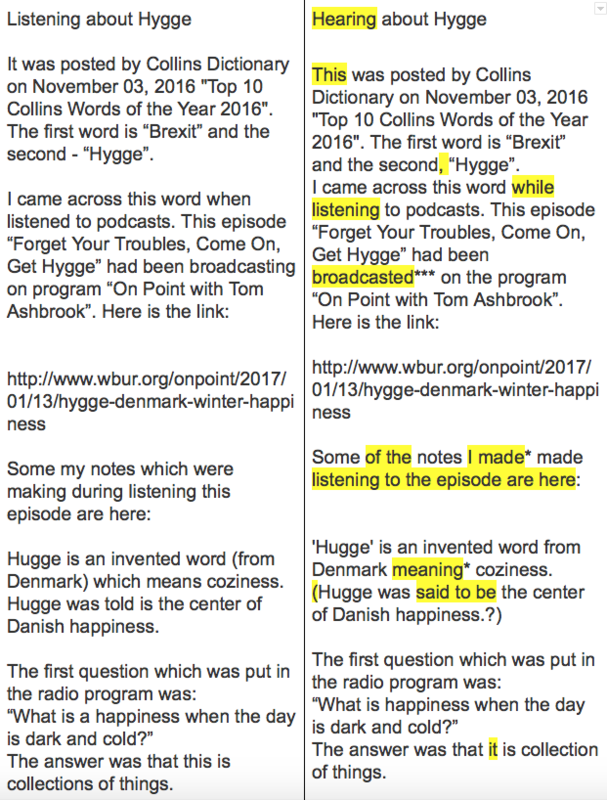 The first word is “Brexit” and the second, “Hygge”. The answer was that it is collection of things. The story about a "hyggelly time": A group of people came back after hiking in December in the Swedish mountains. They were sitting back in the cabin near the fireplace, relaxing and one of them asked: “Could this be any more huggelly?**”. The answer was “Yes; if there was a storm outside”. 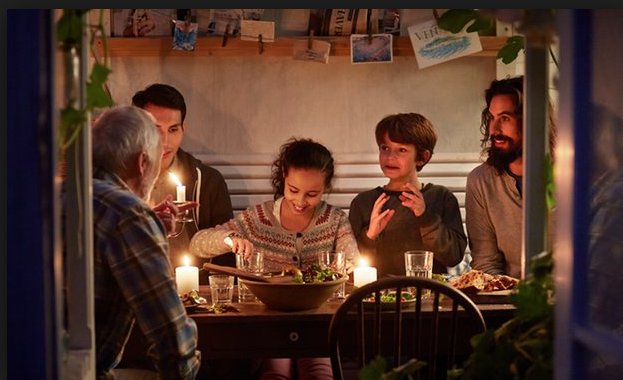 During the days of dark and cold, there is a natural way to keep a confidence: coming home, take off your shoes, lie on a sofa under a warm blanket. 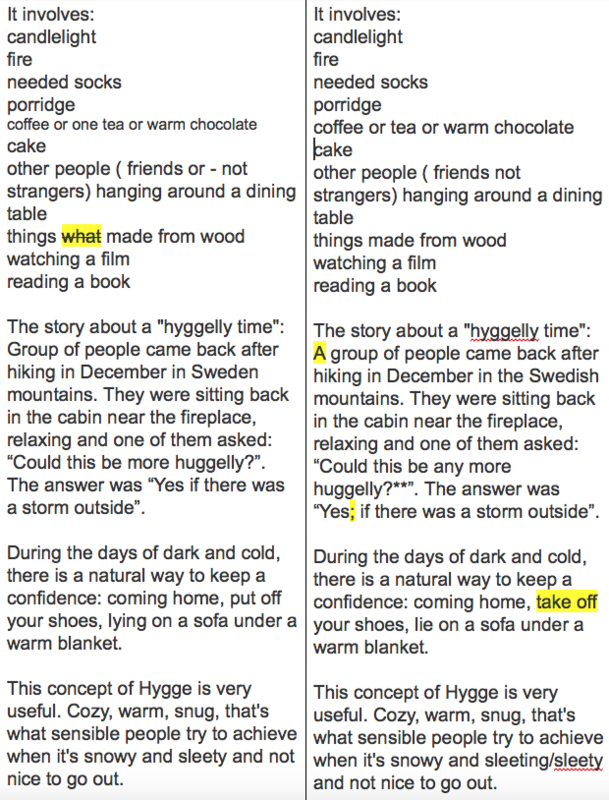 This concept of Hygge is very useful. Cozy, warm, snug, that's what sensible people try to achieve when it's snowy and sleeting/sleety and not nice to go out. This text was corrected by Bluebottle (nickname on iltalki.com). Here are corrections: part1 and part2. Bluebottle's comments:*Generally, it's good style to avoid 'which', 'that'. They usually clutter things up and can almost always be avoided. Beware, however, academics love them! Also if you want to clearly emphasise the start of a clause, you can begin it with 'that....' (that is very useful in science etc). ***'broadcasted' implies once only. 'broadcasting' implies continuance.